How horrible is it that I celebrate every time a hot male celebrity gets divorced? Screw it...I am busting out the bubbly. 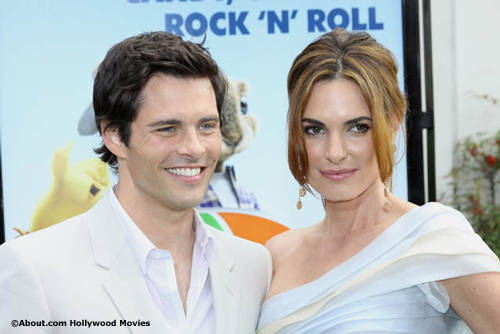 James Marsden is back on the market. Yum. His wife Lisa Linde, who looks like an older version of Nikki Reid with worse hair, filed for divorce on Sept 23 according to TMZ. The downside (as opposed to the upside of me being able to imagine a rendezvous that would never have happened married or single) is that they have been married for 11 years and have two kids. Upside for them: More presents at Christmas.